Samba 4 was integrated in Univention Corporate Server (UCS) 1.5 years ago. Since then it has been offering UCS users Active Directory functionality with which domains and their users, groups, group policies and computers can be administered in both Windows and Linux environments. 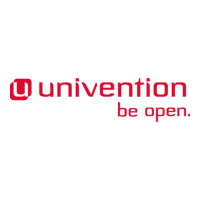 Dr. Arvid Requate, software developer at Univention, will be presenting the speech "Experiences of 1.5 years of Samba 4 in the field" at the Samba eXPerience Conference 2013 on Thursday, 16th May. He will be reporting on a number of customer projects where Samba 4 is in production use and describing the experiences and conclusions that have been drawn for the further development of UCS.